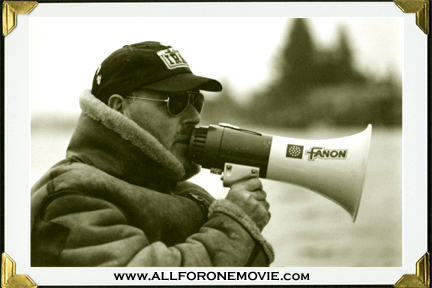 ALL FOR ONE: In The Spirit Of The Race follows Coach Stephen Gladstone and his University of California crew team in their quest to rebuild the once dominant rowing program. Gladstone was widely regarded as one of the most influential coaches in rowing, and had a reputation for building champions. In 1976, he led California to their first championship together, and later at Brown University his crews amassed five more IRA varsity titles. In his second stint at Cal, the team experienced heartbreaking defeats and unexpected challenges, but Gladstone and his squad never lost sight of their ambitious desire to bring the national trophy back to the Ebright Boathouse. In 1999 all of the elements came together when the Varsity eight set the course record, and ultimately delivered four consecutive IRA varsity titles.